For professionals who want long-lasting tools to avoid the hassle of having a broken unit in the middle of a very important project, great news for you! Husky Ratchet Wrench 3/8 in. 50 ft. lbs. is already here to provide you with a long-lasting service. It features a unique anti-spread ratchet head that has a single pawl design which makes it very durable. In addition, the aluminum housing will surely be a good protection for the most delicate parts of the tool. These features ensure that the money that you spent in buying the wrench will go a very long way. The Husky ratchet wrench can produce a 50 ft. lbs. 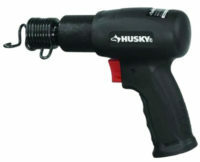 of torque that can remove and install fasteners for your DIY projects. It can also generate auto/recreational vehicle/garden equipment service and repair. Unlike other units, this has a forward/reverse switch which is very convenient for quick and easy directional changes. This switch can be found in the ratchet head and can be manipulated easily. This Husky ratchet wrench is very user-friendly. It has a cast aluminum handle which offers strength to its user. This handle is very reliable in giving you the control that you need. The large throttle level also provides added comfort at all times. For your own safety, it has a ball type socket retainer which guarantees that you will have a secure socket retention while using it. It has an average weight and a very compact design making it easy to take in and out of your tool box. 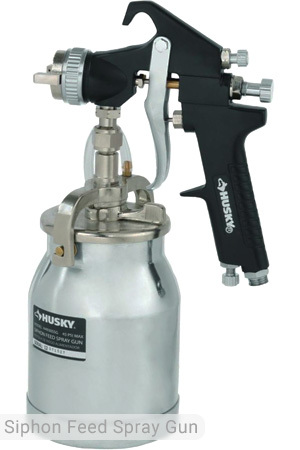 Husky’s line of air tools has been known to be very powerful and efficient. This air ratchet is another proof of that. 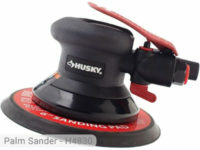 The maximum speed of this tool is 160 rpm, surpassing other models. Just like the other tools, the recommended operating pressure for this is 90 psi. Air consumption at this level is 4 CFM. These rates are perfect for light to medium-duty tasks. Although it might not be the best for automotive purposes, it will definitely shine in driving large lag screws into a piece of wood. It gets bolts tight enough to hold different components together. You can add screws into the deck that you are building without having to refill the tank frequently, giving you time to do other tasks. With only a weight of 2.51 lbs., it will be stress-free to use the product the entire day. All bolting projects can now be performed quickly with the torque that this wrench can deliver. An 8-gallon air tank would not be able to adequately supply the air that this ratchet needs. 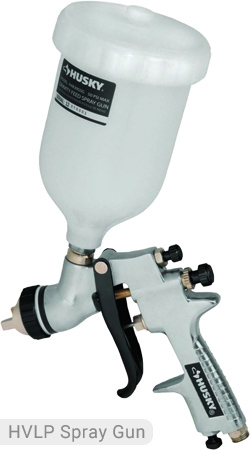 It is therefore recommended to use air compressors with more than 20 gallons of storage capacity. 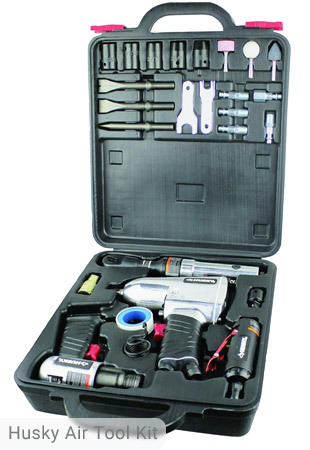 At only $34.98, you will be able to expand your collection of awesome air tools. This will surely work well for professionals and even for home owners who just want to do simple DIY projects. 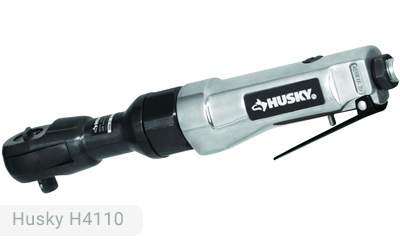 You will feel the high-performance that is the trademark of Husky with this 3/8 in. Ratchet Wrench 50 ft. lbs. 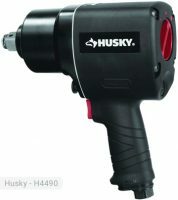 If you already own Husky H4110 model or just want to buy it, feel free to share your review or ask a question through the form below.